This I Love You message might not be not be a novel as any other 1st anniversary message could be, but it embodies exactly what our roses are symbolic of. Everlasting Love. 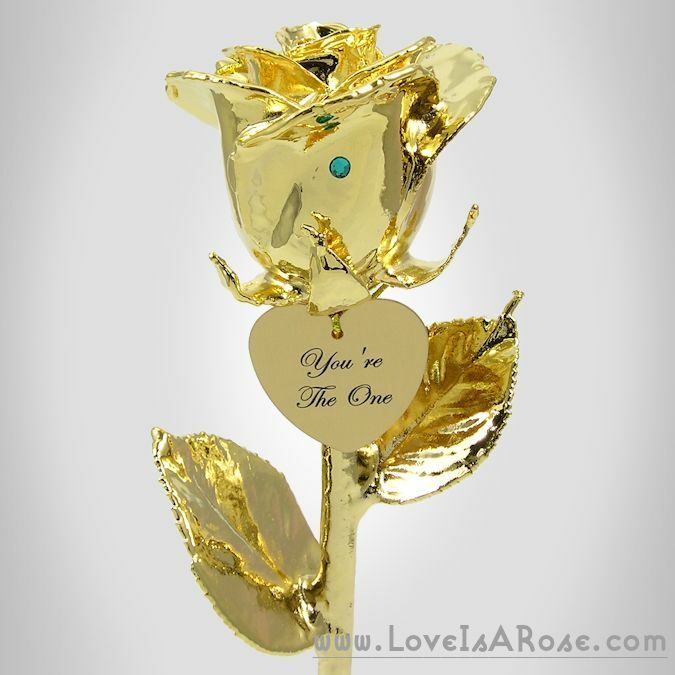 This message was paired with a beautiful gold dipped rose with an engraved heart charm. The customer also opted to add a birthstone. There is no doubt in our minds that she was blown away with this heartfelt 1st anniversary gift paired with the beautiful heartfelt I Love You message.